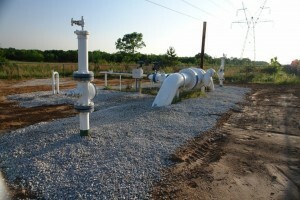 Alternating Current (A/C) Mitigation and Cathodic Protection Systems - Design and Install - Alpha Pipeline Integrity Services, Inc.
Home » Alternating Current (A/C) Mitigation and Cathodic Protection Systems - Design and Install - Alpha Pipeline Integrity Services, Inc. 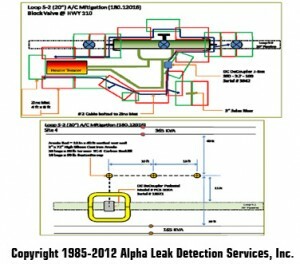 Along with our NACE standard practice periodic surveys, Alpha also engineers and installs A/C Mitigation and Cathodic Protection Systems to support the integrity management of your pipelines so valuable dollars don’t become lost from defects. This to assist in the protection from corrosion. 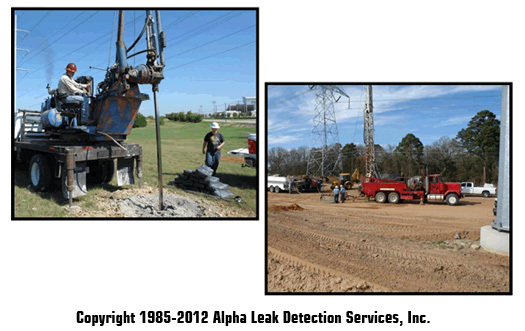 Alpha provides its customers with precise data accuracy to help develop cathodic protection systems, locate anomalies, and crucial remedies to safeguard the integrity of your pipeline. 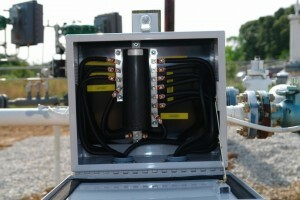 Extreme levels of electric current in A/C utility transmission lines can induce nearby assets. 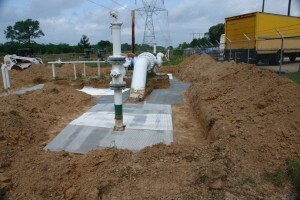 The current travels along the structure and then landing into ground level which can destroy the pipe through metal loss. Alpha provides state-of-the-art A/C interference solutions that can mitigate A/C from damaging your lines. We then can perform continuous monitoring of these lines to test for any stray current impact from A/C and D/C. Brand new anode assemblies will further the life expectancy as well as produce a higher output of mitigation to A/C mitigation units.